Who does not love to eat food? Food is one of humans’ basic necessities. That is why, more types of food innovations have been introduced by technology. Various instant meals are readily available- noodles, soup, oats, pasta, etc. Although most people base their food choices on its taste, one should also be mindful of the health benefits they provide. This is true especially for adults who have to maintain or increase their mental acuteness, resistance to illness and disease, higher energy levels, and faster recuperation times. 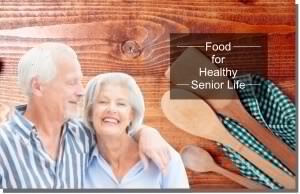 As the best non-medical home care in Opitz Boulevard Woodbridge VA, Optimum Care made it a point to create a list of the types of food seniors can eat to maintain and live a healthier life. Physique shouldn’t just be your priority. You also need to feel your mind and soul. So, how can you do that? Enjoy good fats and avoid “bad” ones. Reduce salt consumption to prevent water retention and high blood pressure. If you are not allowed by your physician to eat the mentioned food above or do the contrary activities, you can always ask your doctors, or your care companion from non-medical home care in Greensboro Drive McLean VA for best alternatives.